The Prague Six is a group of six composers who have recently composed for the Concept Art Orchestra. The Prague Six consists of Štěpánka Balcarová, Martin Brunner, Jan Jirucha, Vít Křišťan, Luboš Soukup and Tomáš Sýkora. Štěpánka Balcarová is a jazz trumpet-player, composer and conductor. She graduated as a jazz trumpetist from the Jazz Academy in Katowice, Poland, and afterwards studied composition and arrangement with Ed Parytka at the Jazz Academy in Graz, Austria. She is the leader of Czech-Polish quintet Inner Spaces, whose album “Light Year” was awarded best jazz album of the year 2012 by the Czech musical award “Anděl”. In 2017, in collaboration with the Polish singer Malgorzata Hutek, she released the album Life and Happiness of Julian Tuwim with the poems of the famous Polish author Julian Tuwim. She is currently teaching at the Jaroslav Ježek Conservatory and at the jazz department of the Music Academy of Performing Arts in Prague. Martin Brunner is a pianist, composer and the teacher at Jaroslav Ježek Conservatory in Prague. He has recorded three albums with his own trio: “Behind the Clouds”, “Still Warm to Touch” and “Morning Walks”. On this last album he collaborated with the string quartet “Epoque Quartet”. He also composes music for other genres, such as Duo Terres (classical guitar and violin). Jan Jirucha jr. is a trombonist, composer and conductor. He is the founder and leader of the avant-garde big band Bucinatores Orchestra. In 2012 he received the award for best composition in a contest organized by OSA (Czech Copyright Association). In 2014 he experienced being a conductor and composer for the European big band project Euroradio Jazz Orchestra. The album Euroradio Jazz Orchestra in Prague, released in the following year, dominated by the four-part “Charles Mingus” suite written by Jan. As an arranger he also cooperates with the Gustav Brom Orchestra, the Czech Radio Symphony Orchestra (SOČR), the Prague Symphony Orchestra (FOK) and the Jazz Dock Orchestra. Currently, he is a teacher at the Janacek Academy of Performing Arts in Brno. Vít Křišťan is a pianist and composer, and also a graduate of the Jazz Academies in Katowice and Odense. He is a leader of his own trio with Jaromir Honzák and Roman Vicha, with whom he recorded his debut album “Imprints”. Recently he founded the acoustic Török/Slavík/Křišťan trio, collaborating with trumpeter Oskar Török and bassist Jiri Slavik. He is a member of many international bands from different genres (Soul Resolution, Asia Kucharczyk Quartet, Afro-pean Project), and teaches at the Jazz Department of the Music Academy in Brno and Jaroslav Jezek Conservatory in Prague. Luboš Soukup is a saxophonist and composer, and a graduate from the Jazz Academy in Katowice and Copenhagen. He lives in Denmark, and operates primarily on the Czech and Danish jazz scenes. He leads the international band Luboš Soukup Quartet and Czech groups such as Points and Points Septet. With these and other bands he has already released a number of recordings. 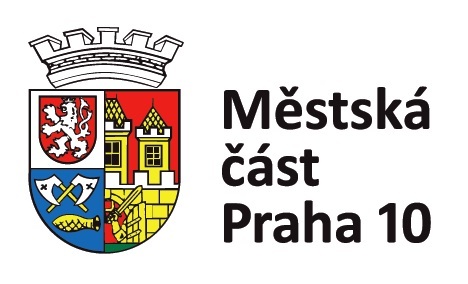 Two of them – Through The Mirror and the Earth were chosen by the Czech Radio Experts’ Survey as Best Jazz Albums in 2013 and 2017. In 2017 he won the prestigious Discovery of the Year award from the Danish Music Society. He was nominated and took the prize from Miles Davis’ long-time partner, Marilyn Mazur. Currently, he is a teacher at the jazz department of the Music Academy of Performing Arts in Prague. Tomáš Sýkora is a pianist and composer, and a graduate of the Music Academy in Prague in composition. He composes not only for jazz musicians, but also for classical players and orchestras (Symphony, Concerto, Love, Peace and Happiness, Sonatina for Trumpet and Piano, Sonatina for piano four hands). He teaches at the Jaroslav Jezek Conservatory in Prague.